The agency’s fiscal year 2015 budget includes more than $3.2 billion for human space exploration — $1.7 billion for NASA’s huge Space Launch System rocket and nearly $1.2 billion for the Orion crew capsule. The SLS and Orion budgets are higher than the White House requested for fiscal year 2015, which runs through Sept. 30. The Space Launch System is getting $320 million more than the Obama administration’s proposal released in March. The Orion program will receive more than $140 million over what NASA said it needed this year. “Funded well above the president’s budget request, the SLS and Orion are receiving the resources they need to ensure their success,” said Rep. Lamar Smith, R-Texas, chairman of the House science, space and technology committee. Despite the additional funding, there is little hope of launching the huge rocket as previously scheduled in December 2017. 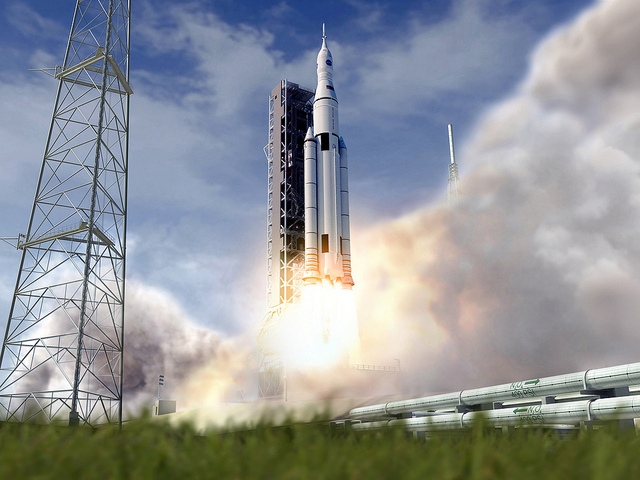 NASA formally committed to developing the massive Space Launch System — the most powerful rocket ever built — in August. After a thorough review of the rocket program, the agency committed to a maiden flight by November 2018, but officials kept open the possibility of having the SLS ready to fly sooner — perhaps as early as late 2017 on the scheduled NASA touted since the launch vehicle’s inception. Gerstenmaier said NASA is now targeting June 2018 to have the Space Launch System ready to fly from Kennedy Space Center. 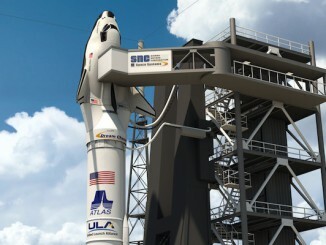 The 321-foot-tall rocket will have a core stage powered by four hydrogen-fueled RS-25 engines that flew on NASA’s space shuttle fleet, two five-segment solid rocket boosters derived from the shuttle, and an upper stage with an RL10 engine based on United Launch Alliance’s Delta 4 rocket. For the 2018 test launch, NASA plans to use the SLS to send an unpiloted Orion crew capsule on a flight around the moon and back to Earth. Dubbed Exploration Mission 1, the flight will build on the success of Orion’s flight test in Earth orbit Dec. 5 before NASA plans to fly astronauts into deep space on the spaceship in 2021. Rocket engineers are also gearing up for ground test firings of RS-25 main engines in Mississippi and a qualification test of an SLS solid rocket booster in Utah. “I think we’ve really probably moved off December 2017 when I look at the work, so I don’t think funding will pull us back to that date,” Gerstenmaier said. Even if the Space Launch System is ready for liftoff by mid-2018, NASA could be forced to keep the rocket on the ground to wait for ground facilities and the Orion capsule to complete development. The ground systems development program went through the same schedule and budget review as the Space Launch System — known within NASA as Key Decision Point C — and officials found it on track to be ready by November 2018, and possibly as soon as June 2018, according to a report by the Government Accountability Office. The KDP-C reviews for SLS and its ground support network gave a 70 percent confidence level each program will be available for launch by November 2018. Ground systems work at KSC includes modifications to the SLS mobile launch platform originally constructed for the Ares 1 rocket canceled in 2010. Workers are also preparing a high bay inside the spaceport’s cavernous Vehicle Assembly Building for stacking of the Space Launch System. The SLS will be rolled out of the 52-story assembly building on its mobile platform to launch pad 39B for final preparations before liftoff. The Orion spacecraft is scheduled for its own KDP-C review next year to establish firm budget and schedule commitments for its next flight. Mark Geyer, Orion’s program manager from NASA’s Johnson Space Center, told reporters earlier this month the crew capsule would not be ready itself until some time in 2018. The Orion spaceship on the EM-1 test flight will carry an active power and propulsion module provided by the European Space Agency, along with extra life support systems not flown on the Dec. 5 mission. Exactly when the SLS, Orion and KSC launch facilities will be ready for the EM-1 test flight is difficult to forecast, but Gerstenmaier said NASA intends to keep each program working toward the earliest schedule possible. 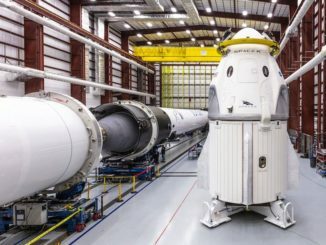 If one program finishes earlier than the others, engineers could be reassigned to prepare the follow-on mission with astronauts in 2021, he said. 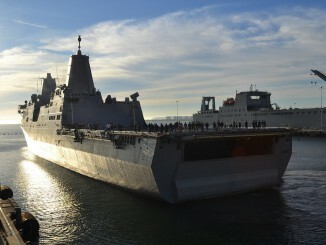 “I think it’s perfectly fine to complete one of these programs ahead of the others,” Gerstenmaier said. “They don’t need to all sync up at exactly the same time. If you think about when you take a vehicle to launch down at the Kennedy Space Center, typically the rocket is ready to go well before the payload is, then the payload comes later. “I think it’s actually to our advantage to have some difference in schedules between those. I think SLS coming first, having the ground systems ready in Florida, and then Orion showing up in third place is perfectly fine,” he said.